The design of this lid-rest was adapted from the brush and sumi ink-stick rests of similar shape and size. 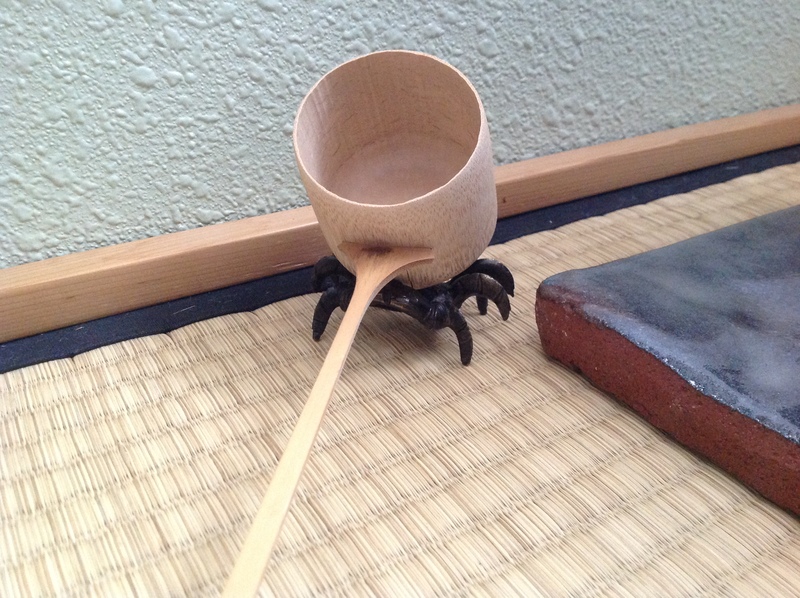 This futaoki is most appropriately used in spring and summer months. 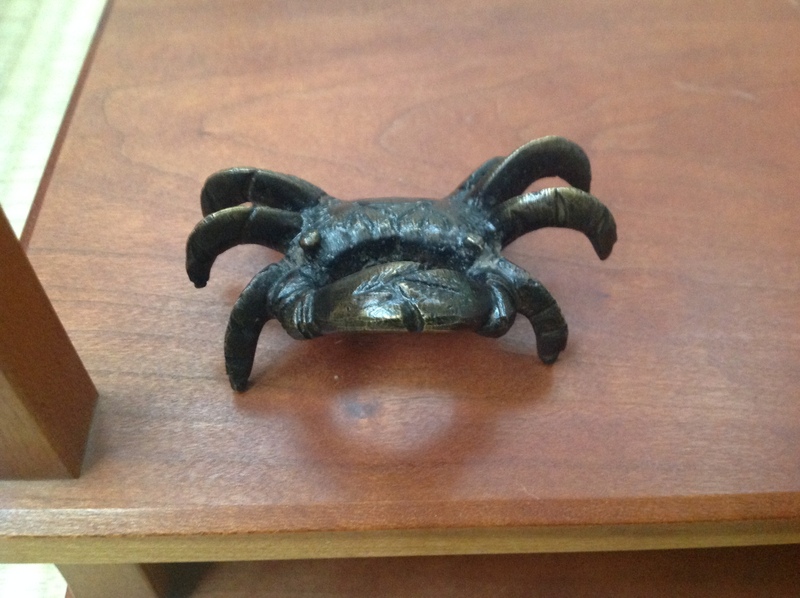 The face of the crab determines the front and is used like any other futaoki by placing it on the tatami mat in line with angle of the hishaku. An actual shell was used originally for this lid-rest, but was replaced by ones made of metal and clay. The front of the futaoki is determined by placing the pointed casing of the shell towards the fire. 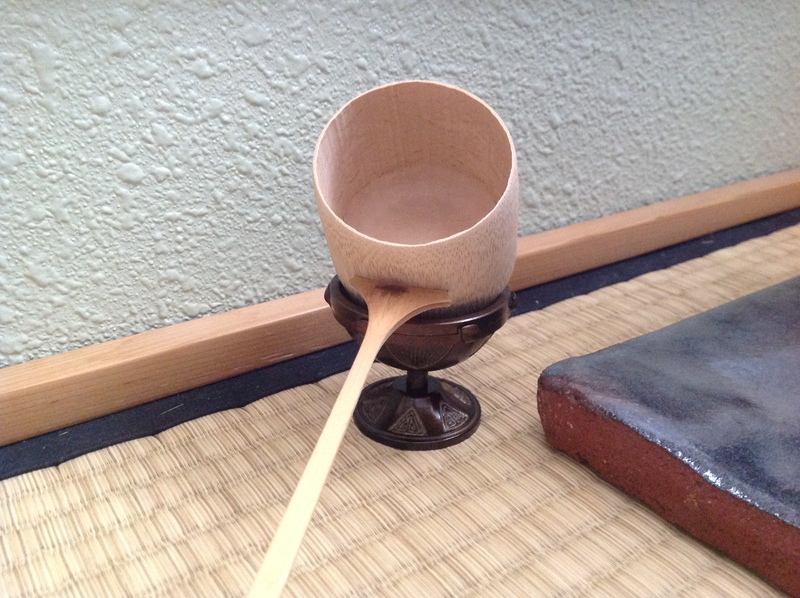 It is placed in the kensui and used during temae with its underside up. When displaying it on the tana, it is turned from right to left and placed with its underside down. 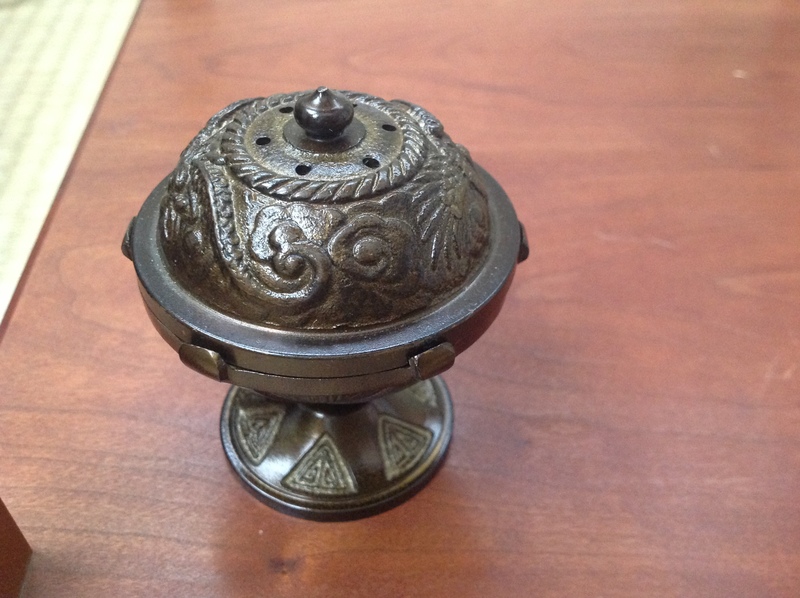 The design for this futaoki was borrowed from a lidded incense container used in Buddhist ceremonial rites. It is used in both the ro and furo seasons when performing daisu or nagaita sokazari temae (the full display of utensils on the long board). It is most frequently made of metal in either a five or six pointed cup design. To determine the front, count the number of points and place one point in front if the number is odd, or two points front if the number is even. The if this futaoki is closed when it is in the kensui, displayed the daisu or nagaita. When it sis used it is handled like an old Japanese book — opened from left to right and closed from right to left. 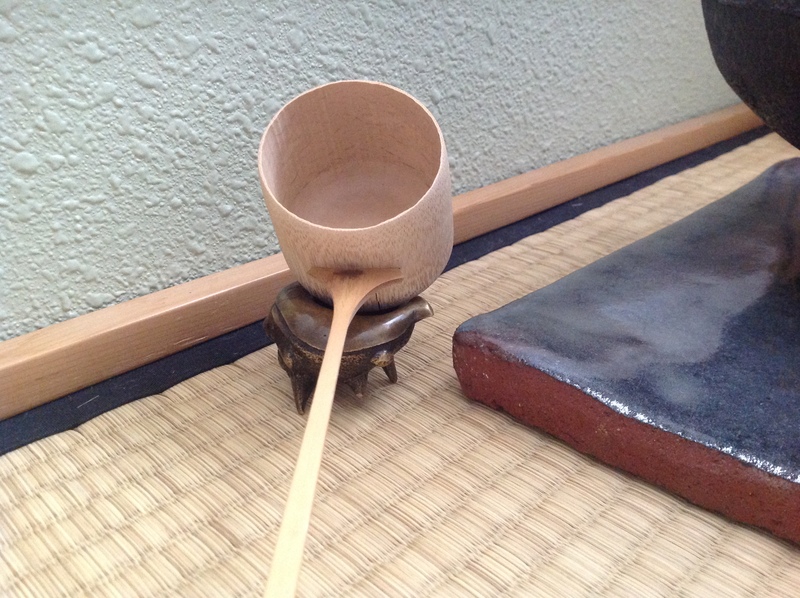 During koicha temae, the lid-rest is closed when it is not being used to support the kettle lid or hishaku. 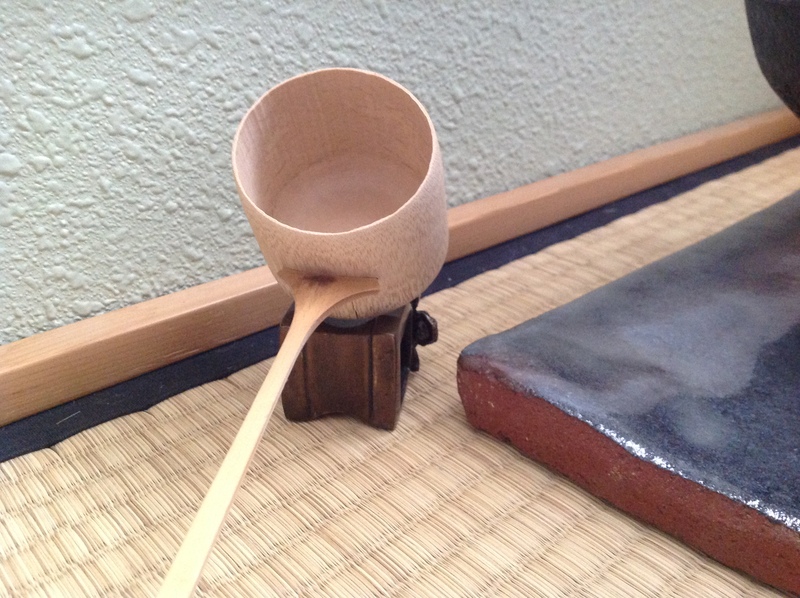 This lid-rest is placed face forward, right side up in the kensui and on the tana and on its side when it is being used to support the lid and hishaku. The boy at the well is thought of as idle, because he relaxes when he works and works when he rests. 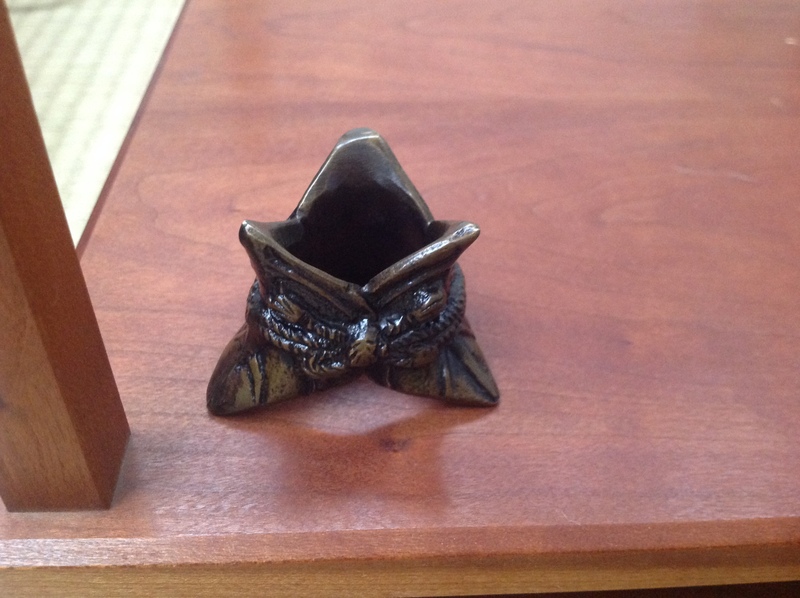 Tu use this futaoki, pick up the hishaku with the left hand, removed the futaoki from the kensui with the right hand. 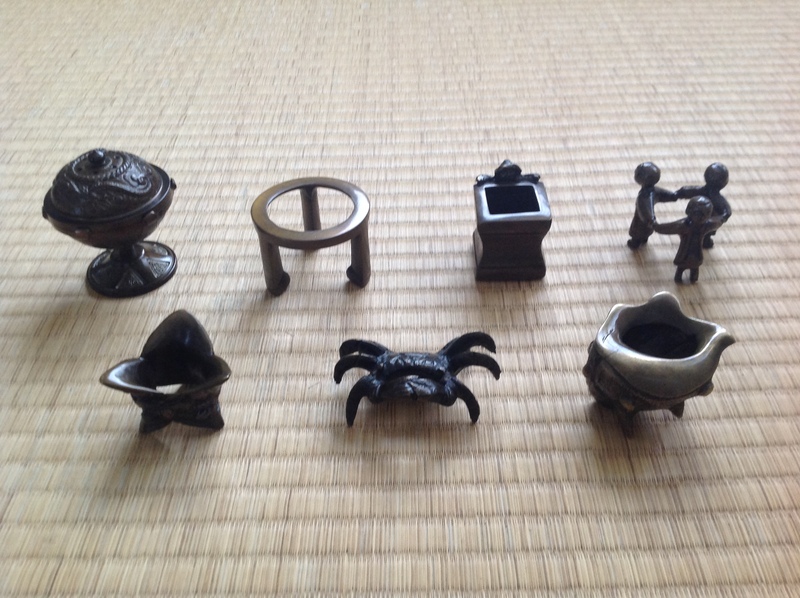 Replace the hishaku on the kensui, steady the futaoki on the left palm, turn on its side so that the boy’s head will face the direction of the fire after it has been placed on the tatami. Just the opposite of holding his feet to the fire. The mitsuningyo futaoki probably pre-dates Rikyu as Chinese celedon examples have been found in Japanese collections. This lid-rest may be used year-round. 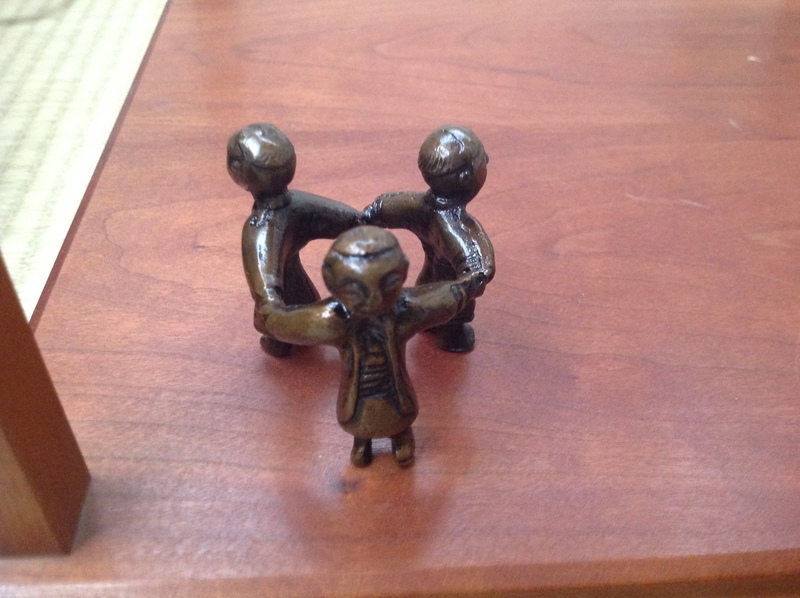 The doll dressed differently from the others is placed to the front. This lid-rest resembles the edible trefoil plant and is used in the spring and summer months. 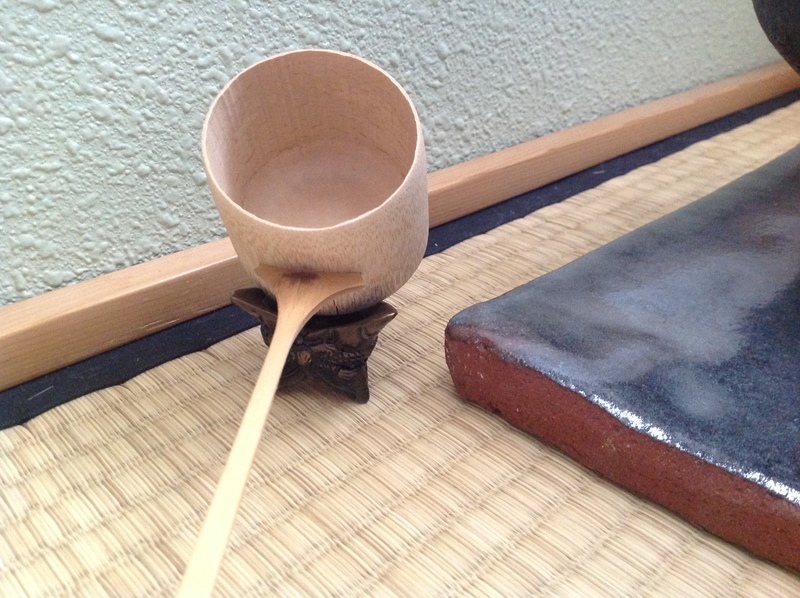 In the kensui and during temae, it is placed with the larger side up, with one single leaf to the far side. 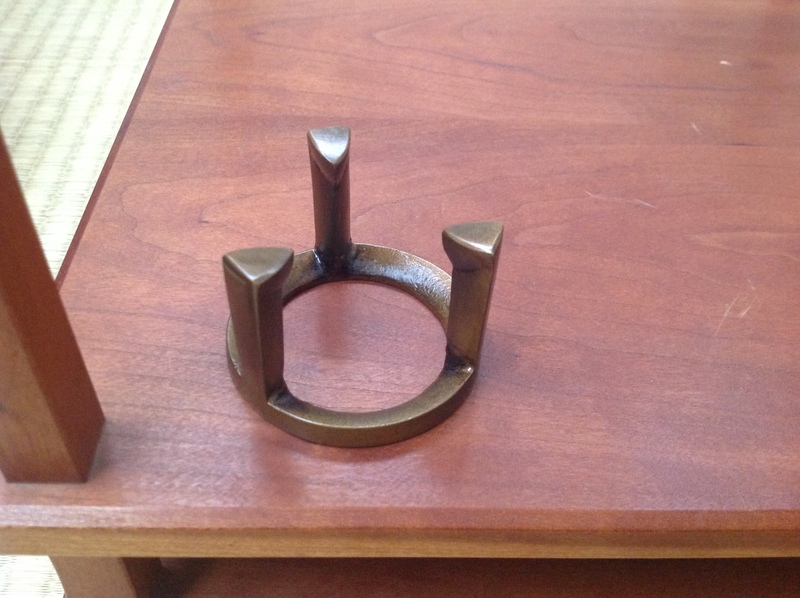 To display it on the tana, it is turned over from right to left so that the larger side is down. The gotoku futaoki is also called kakureiga (retreat) because the base is hidden in the ash. 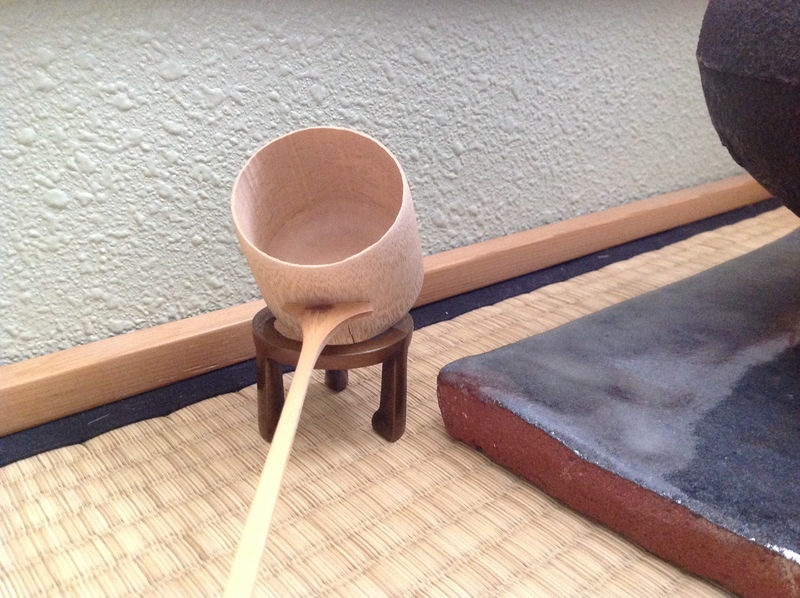 It is used in the ro and furo seasons when the kettle is suspended (tsurigama), or rested on blocks (sukigigama), or directly on the brazier (kirikake buro). 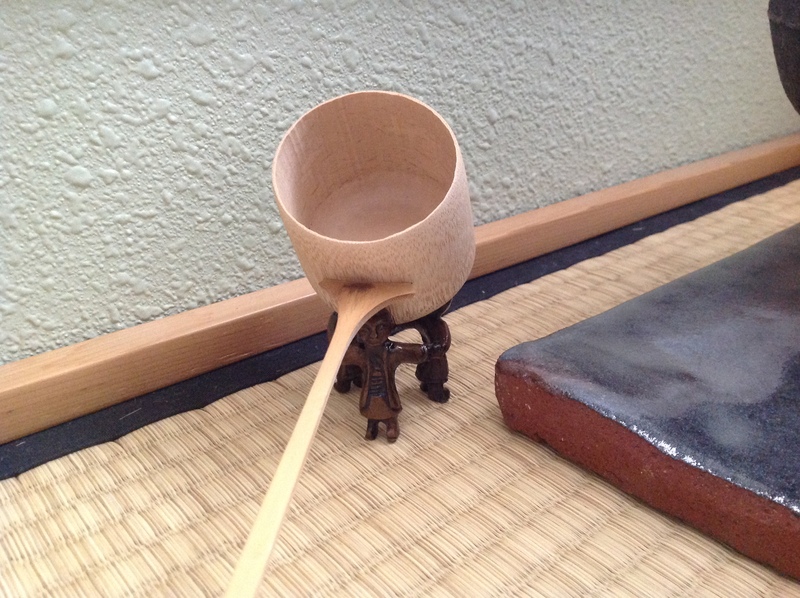 It is placed in the kensui and used during temae with the circle side up and one leg to the far side. At the end of the temae, it is turned over, right to left, and displayed with the circle down. This is a good reference for the Rikyu no nanashu no futaoki, and I hope you all have a chance to use them in the future.